In addition to Andrew Aydin and John Lewis being in attendance for another panel and signing appearance, look for a Dragon Con-exclusive limited edition March art print to be released at table TBL14 in Comics & Pop Artists Alley during Dragon Con 2015. Released in two separate editions, fans will not want to miss the opportunity to add this beautiful commemorative print to their collections. 20 Signed & Numbered felt prints, suitable for framing, will be available for $20 each. 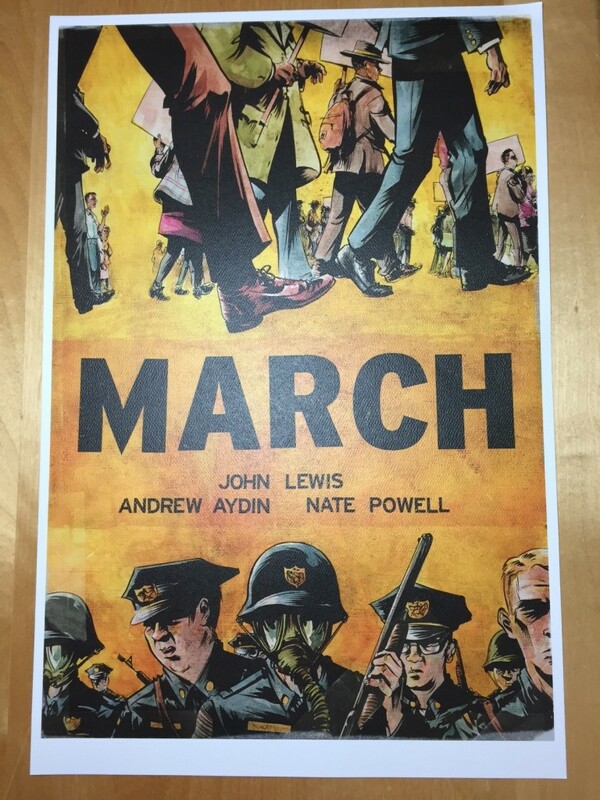 The print will come signed by both Andrew Aydin & Congressman John Lewis.